My happy place this week included spending time with Little P ( Gosh I love that little guy! ) having three work days off , and finally getting THE call about the oven , which will be fixed in two weeks. There were a couple of blips on the radar that I responded to and then let go. In the past I would have found that hard to do. I've realised in the last twelve months that different opinions are OK. It doesn't mean I have to change mine. And my perception of myself is far more important than what other people think of me. I think that has come as a shock to some people. And you know what? Just a heads up. I'm probably not done shocking people yet. My favourite thing this week has been getting my sewing groove back. After what feels like forever , I'm enjoying the creative process again. With a head chock full of ideas and motivation to sew like a crazy woman what could be better? Well, a tidy sewing room might help . Especially in terms of being able to find things I need to be crafty with. I begrudge spending time tidying up because that takes time away from sewing . Frankly I think stuff should just levitate into my hands as I need it. But since that's not likely to happen soon, I sucked it up and went to work. Good Golly Miss Molly! I can see carpet! No longer do I have to jump the mountain of crap to get to the sewing machine. My favourite thing this week is being able to find stuff...... can you imagine how much I'm going to get done this weekend? An organised space makes me very very happy. Feel free to link up and tell me all about your happy spot this week! Well I don't think there is anything more important than being true to yourself so Good On You! However I am dismayed to see that I am now alone in my mess that is better known as the 'cave where I sew' LOL! Wow you certainly gave it the once over. I am still hoping the 'sewing room tidying fairy' is going to surprise me one morning when I awake and have secretly made it all beautiful!Glad you feel all motivated again. Your sewing room looks great! I love it! It is always so nice to realize Friday is almost here when I read your FFF posts on Thursday night! Of course, I have to work this Saturday, which STINKS but I'm not gonna be a whiney baby about it. Great job cleaning up - you can be so mature when you want to be! :) I still struggle with that. My sewing room is a sty, but I did clear off the cutting table and ironing board (actually put things where they go instead of just relocating them to another temporary spot!) before sewing tonight. It's something, I guess. You are welcome to come over and tidy up my room any time you like. If there is food in the house, I'll even let you have some! Michelle, you're not alone. There are still some of us around who are messy - not that I want to be that way. Looks good, Shay! Can you come and do my space next???? Best thing about getting older - you stop worrying about what other people think - go for it! Always good to let things go .. your sewing room looks great. Should make it easier for your mojo to flow freely. Can't believe it has taken this long for your oven .. that's crazy! two more weeks. I am a lot better at letting things go than I use to be, but I still hang on to stuff a bit too long. Now that you have finished tidying yours wanna come over and do mine. One day I am going to go arse up in there and they won't find me for day's. The good thing is the kids will be hungry or want something like yesterday and they probably try really really hard. 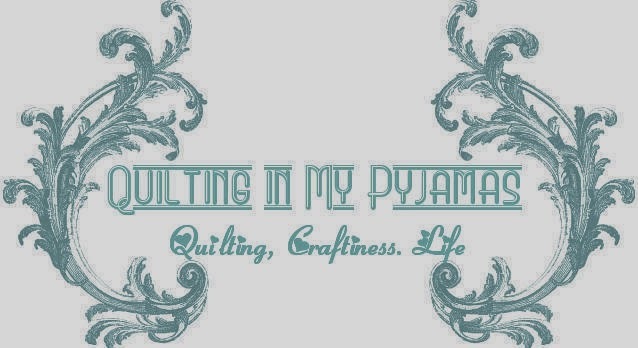 You can pop along to my place too and help me clean up my sewing room, thanks! Glad you had fun with Little P, and now you're able to have lots of fun sewing. Sounds like a great few days for you, yay! You still have more fabric than I do. Sob! Glad you have had such a good week. May the weekend continue in the same vein. The sewing room looks great. As much as I hate doing it/keeping it that way, it really is so much easier to work with a clean space. Hope it inspires you to sew some more. Holy cow you'll never find anything ever again! And I really feel for you with such a small fabric stash. Oh to be that tidy! Days spent with a little person are always well spent - so happy you get to play. Guess your sewing room is ready for the next amazingly creative project to spring forth - sure looks like it is waiting for some action. I desperately need to tidy up my sewing room...might explain why I am hand piecing at present! Yours looks great! Nice work Shay! I am loving your new sewing mojo too. Can't wait to enjoy what you sew this weekend. If my sewing room was half as tidy as your before shots I would be very happy !! My sewing room has been a work in progress since December !!! All those pretty boxes organized on your shelves make me happy! I love organization. I've been working on my sewing space too. It needs just a little more tweaking and then I'll post it for my FTF. Also . . . two more weeks on the oven? I'm dying! Ooh, I love a clean sewing room, it just makes me itch to start a project!! !